One of our generous donors has committed to helping us raise money so we can continue our rapid rate of construction and growth. Between now and December 31, 2017 – All general fund donations will be MATCHED TWO TO ONE up to $68,000!! This means that each dollar you donate will MATCHED with TWO MORE DOLLARS! With your help – we can raise $68,000 by December 31st; these funds will be matched by our donor with another $136,000 for a total of $204,000 for the animals. 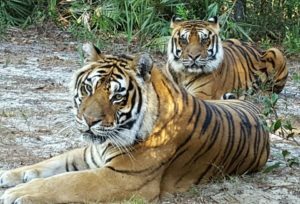 This entry was posted in Uncategorized and tagged 2:1, Bear rescue, Big Cat Rescue, donation, match, matching grant, peace river refuge, Primate Rescue, sanctuary, two to one. Bookmark the permalink.